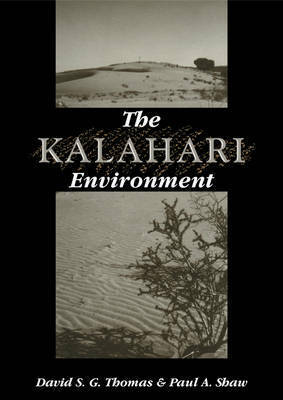 This book provides an integrated, thorough and up-to-date review of the nature and development of the Kalahari environment, an environment of great ecological and geomorphological diversity. Its complex climatic and geological history and its long association with human societies attempting to utilise its natural resources are aspects of increasing scientific interest. The book has evolved from the authors' own research in the Kalahari, and attempts to provide explanations and answers to some of the many questions raised about this region, ranging from the commonly asked 'is it really a desert? ', to more specific and detailed concerns. The interdisciplinary approach will make the book of interest to researchers, lecturers and advanced students in earth sciences, environmental studies, tropical geomorphology and Quaternary science. The extensive bibliography will also make the book a very important source of reference.